Melt half a bag of white chocolate chips in the microwave. 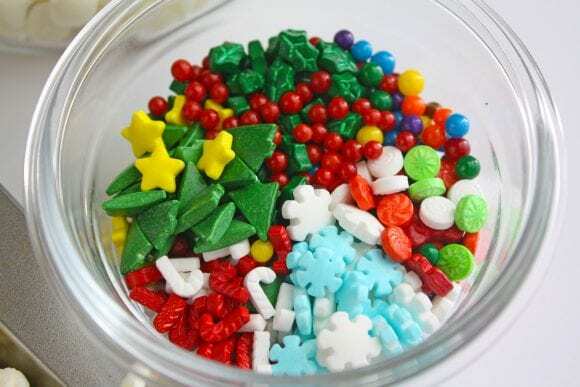 You can add ¼ teaspoon coconut oil for a smoother consistency. 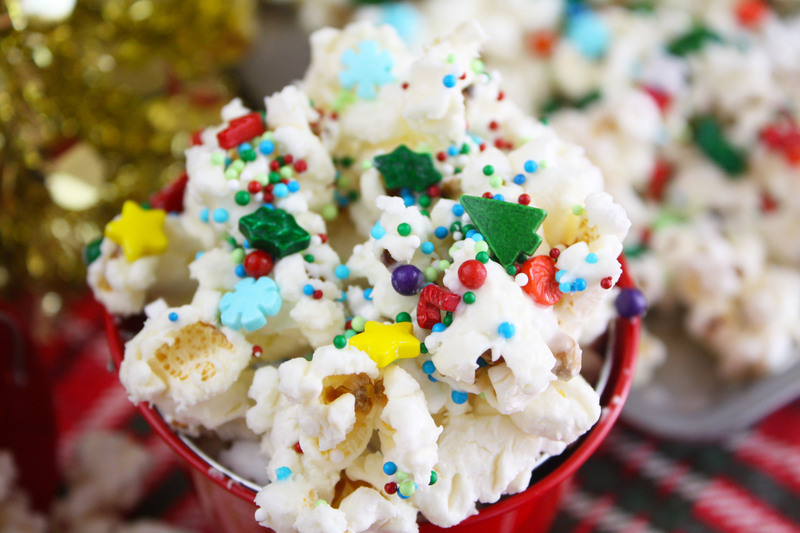 Pour the white chocolate over the popcorn in a large bowl. 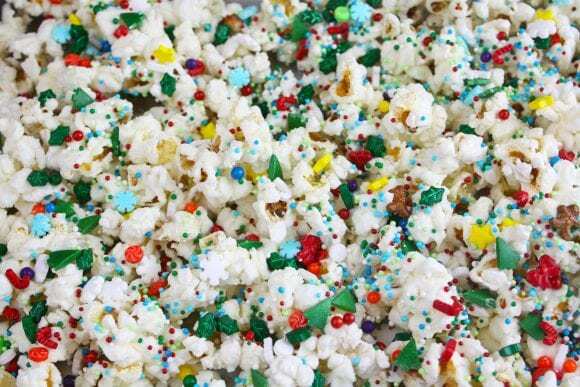 Gently mix the popcorn until it is coated. 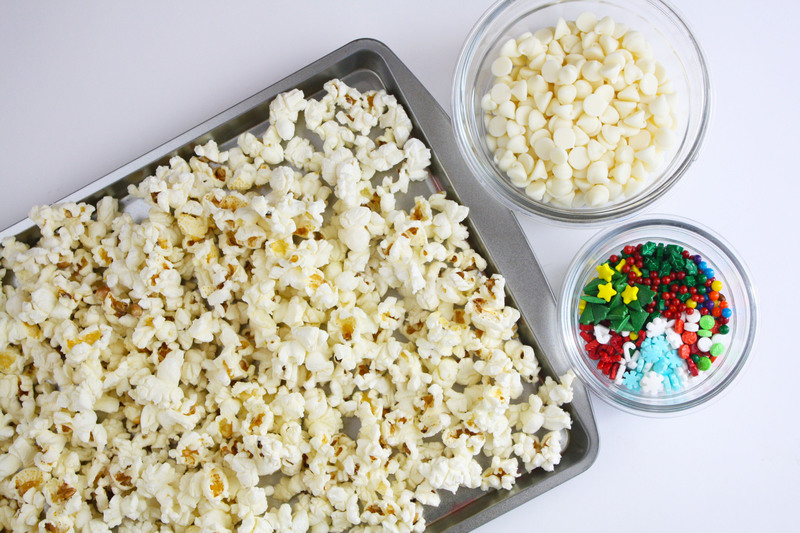 Spread the white chocolate popcorn onto a parchment paper covered baking sheet. White the white chocolate is still warm, add the holiday sprinkles and candy. 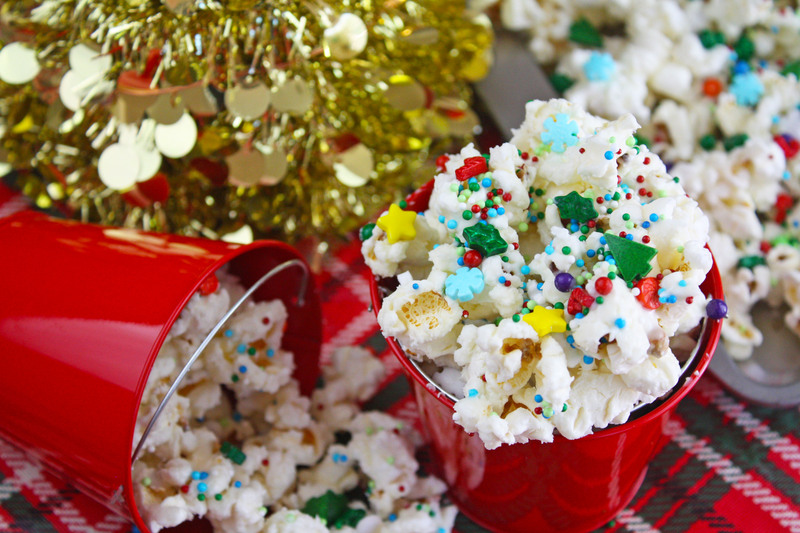 Chill the popcorn so the white chocolate hardens. 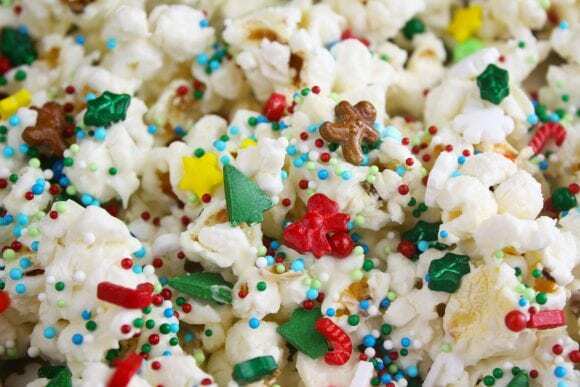 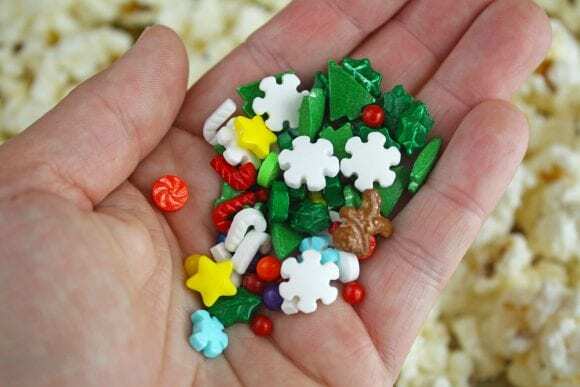 Give this yummy Christmas popcorn in cellophane bags with a pretty ribbon or add to your holiday baking baskets. Store in a gallon ziploc bag at room temperature.